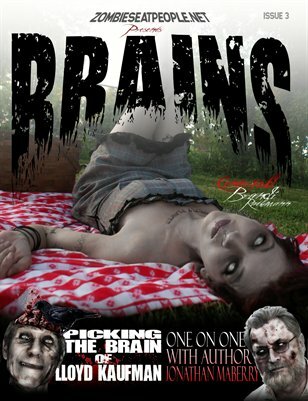 BRAINS MAGAZINE is the absolute in all things zombie, from primitive survival to modern comedy, an appreciation for the female anatomy with zombie centerfolds AND SO MUCH MORE! GET YOUR COPY NOW of the world’s first Zombie magazine specializing in all things post apocalyptic! 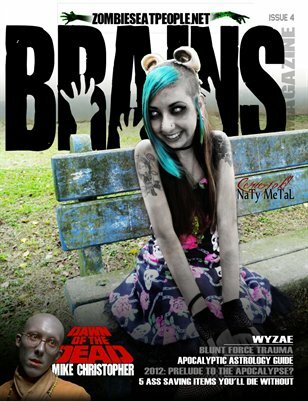 BRAINS is the FIRST zombie survival and comedy magazine! 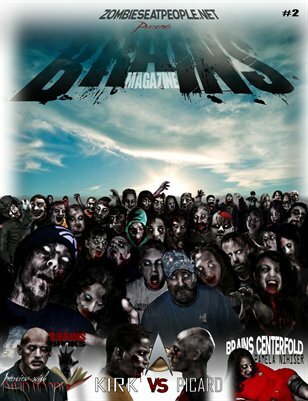 Join us, as BRAINS magazine will crawl from beneath the ground, to walk among undead history!